It’s the holiday season and everyone enjoys getting gifts and festive holiday postcards. Whether the postcard is for business or personal use, they are ideal for showing appreciation or just reaching out to show you care. Microsoft Word offers the perfect holiday postcard template for this purpose. You can send out your postcards using this template that has a beautiful holly berry photo on the front and an area for a message and mailing address on the back. It prints two 4 x 6 inches postcards per page and is available for free on this page. 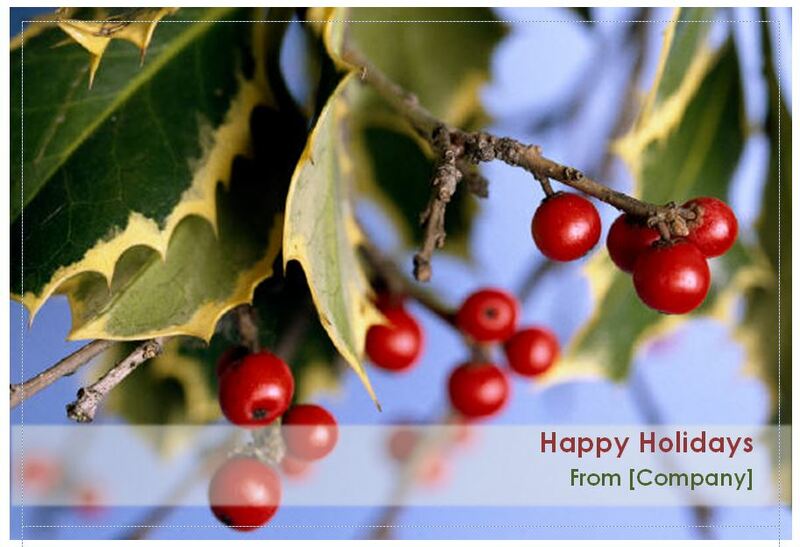 The template is easy to use and can be customized to include your very own holiday message or greeting. This is an excellent option if you are sending the postcard to a variety of people. Each card can be customized to fit that person or group’s unique personality. The holiday postcard template can be downloaded directly from this page. Download the template. This is the first step to creating your holiday postcard template. You will download the template from our page. An open box will appear with a few options. Save the template. After the opening box appears, you should choose the Save File option. You will save the template to the location of your choice on your computer or a flash drive. Open the template. Next, you will go to the location the template was saved and open it using Microsoft Word. Customize the template. Here you will customize the template with your information by replacing any existing information. This is the fun part because you can edit the template with your choice of fonts, colors and unique wording. After making all your changes, be sure to save the file with the name of your choice. You will want to keep the original template as a reference for future postcards. Everyone appreciates and gets excited when receiving a personalized gift. This template is the ideal choice for creating such a design. It is easy to use and inexpensive. Go ahead and download the template from our page and put a smile on someone’s face by showing that you care.